Safety glowsticks offer a guarenteed 12 hour glow. Safety lightsticks come individually wrapped and have a useful hook at the top. These light sticks offer safe, reliable, cool to the touch emergency lighting in many environments and situations. 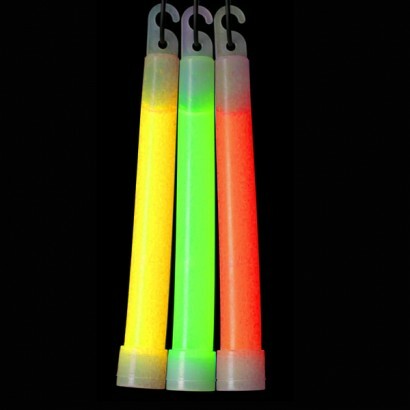 6" safety glowsticks that burn brightly for 12 hours plus for a vivid neon glow! Fantastic emergency light source that requires no batteries or mains connection, simply crack and glow! 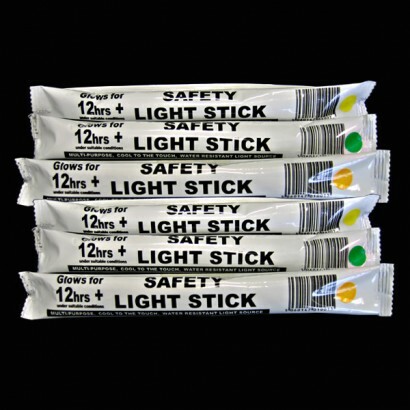 Heat free and producing no sparks, safety glowsticks are a fantastic independent source of emergency light. Car, house, boat, tool box, camping etc.